Diane Kappa: Press on "True Up"
Thanks to True Up for mentioning Bonjour on their blog yestedray! 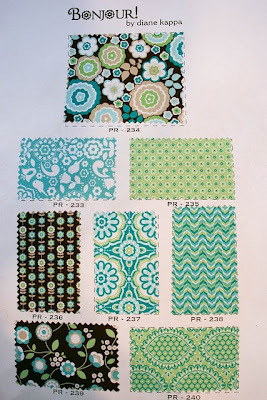 Click here to read about my and my friend Khristian's next collections with Anthology fabrics! i am waiting anxiously for this line to come out! me too :) It is scheduled to ship in February! Thanks so much Cyrille! That means a lot!